Those of you that follow At Home with Vicki Bensinger know that I’m all about making things easy these days. 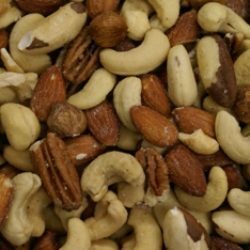 I love cooking but when you’re running all over the place all day long, easy is what I need when it comes to making meals. The same holds true if I have the desire to have dessert. Honestly if it’s just me I’m not going to make a dessert. 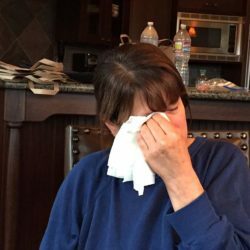 I have to be creating it for someone else or a group. Heaven forbid I’d indulge in my creations solo, I need to share the calories with others and watch them enjoy it as well. I actually made my Goat Cheese & Fig Galette several weeks ago, but sometimes life gets in the way and blogging has to take a back seat. Even though my Goat Cheese & Fig Galette is a bit late getting posted, figs are still widely available for purchase at the market. I saw these figs at the farmers market a few weeks back and couldn’t resist them. I knew I had some ready-made pie crust in the refrigerator at home so was confident I could create a luscious dessert. Then of course when I saw the farmers market goat cheese at another stand, and raw honey, I had my mind made up. 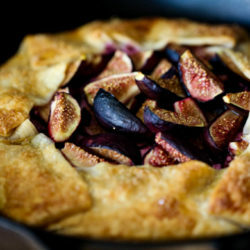 With these four ingredients I created a Goat Cheese & Fig Galette that was so flavorful it was hard to stop eating it. Lately I’ve had a thing about galettes, and making them in a cast iron skillet. I’m not sure what that’s about, but sometimes we just get fixated on something and just can’t let go. I seem to be a master at that. 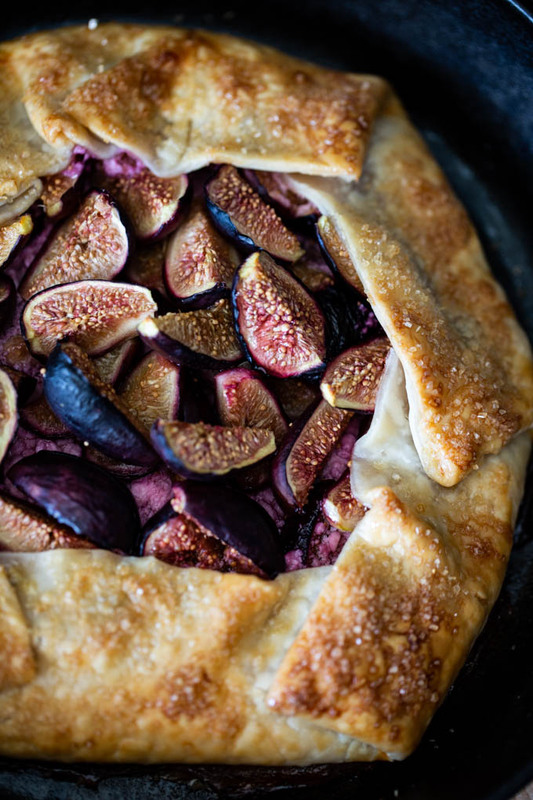 Anyway, if you’re a fan of figs I think you’ll enjoy this galette. If you prefer to do smaller portions then use a 6-inch cast iron skillet vs. a 10-inch one. Or create these in ramekins or even muffin tins for small individual servings. 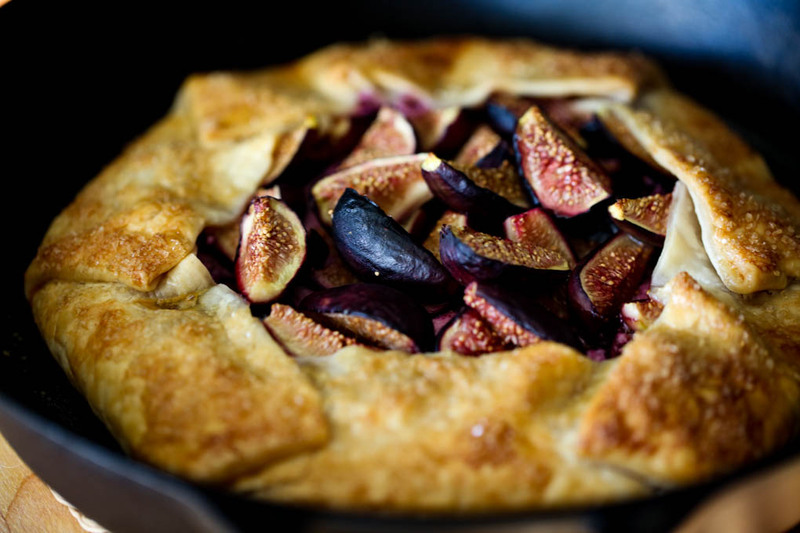 No matter how you slice it, I’m certain you’ll love my Goat Cheese & Fig Galette! 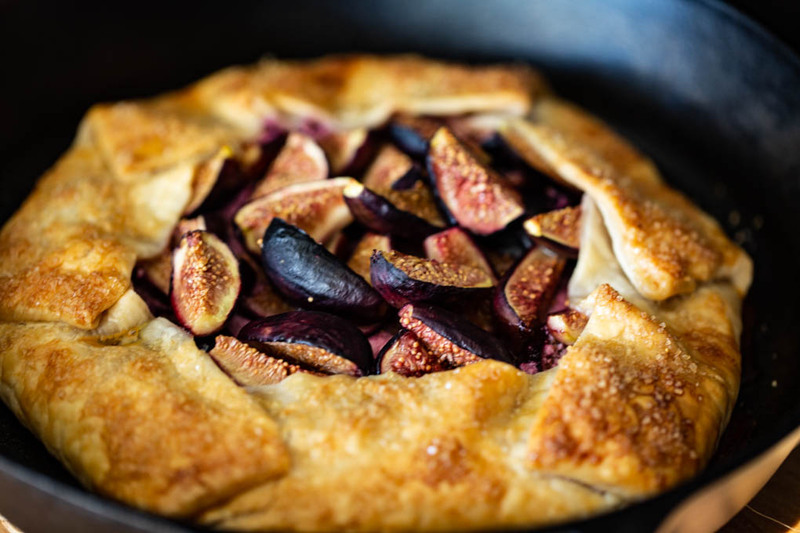 When figs make their brief appearance during the year, savor them by creating this luscious Goat Cheese & Fig Galette. 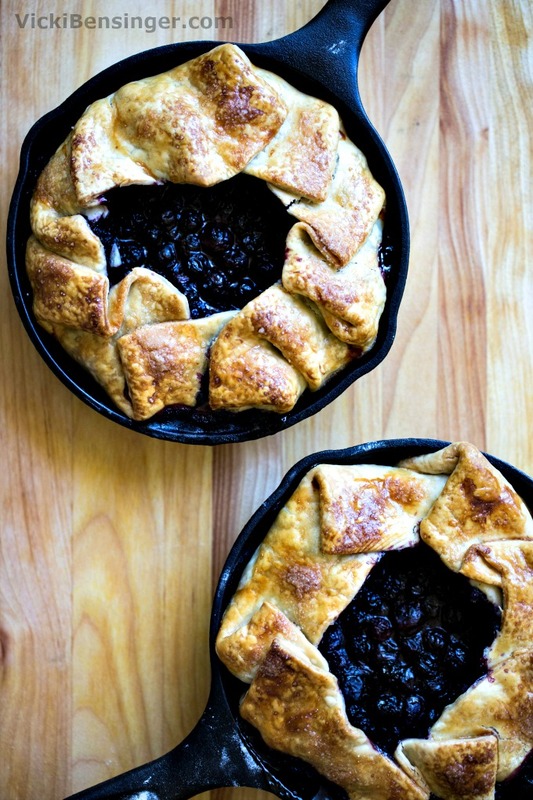 Using a cast iron skillet roll out one package of ready-made pie crust or homemade, into the cast iron skillet - allow dough to hang over the edges slightly. 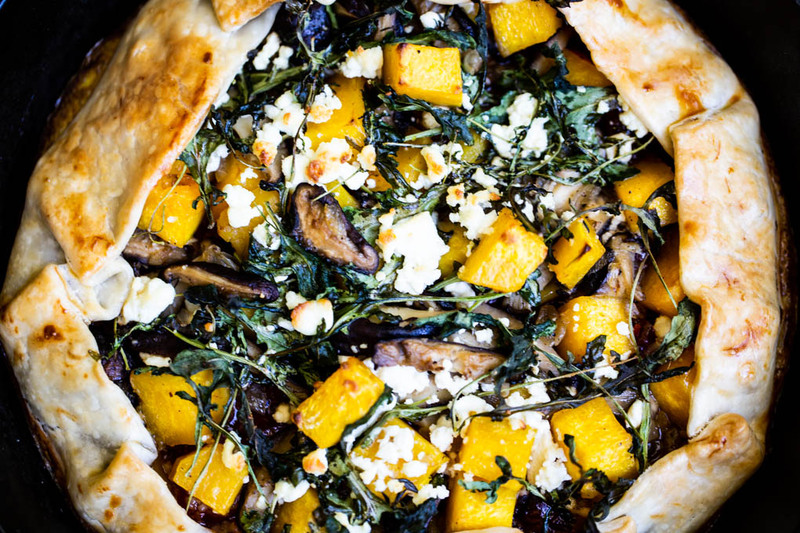 Sprinkle a layer of goat cheese over the bottom of the dough. 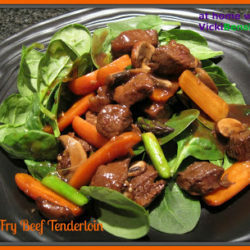 Drizzle with melted honey & sprinkle with fresh ground pepper to taste. Bring the sides of the dough up & over the the figs. There will be a large opening left in the middle. Combine egg and water and brush over the dough. 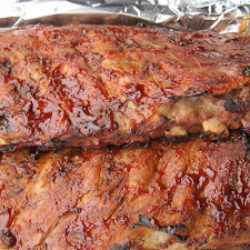 Place in oven and bake at 400F degrees for 30-35 minutes or until crust is golden. Figs and goat cheese (or brie) is such a wonderful combo. Love it! Wonderful looking dessert. But then, as I’ve said, I can never resist the rustic look of a galette! I love the combo of figs and goat cheese! 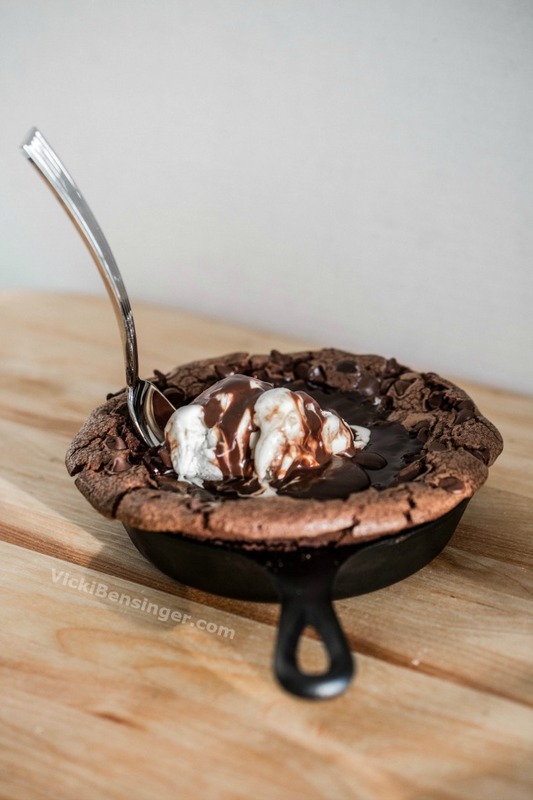 What a scrumptious galette filling, Vicki! Figs and goat cheese are my go-to combination! This galette looks amazing, Vicki. 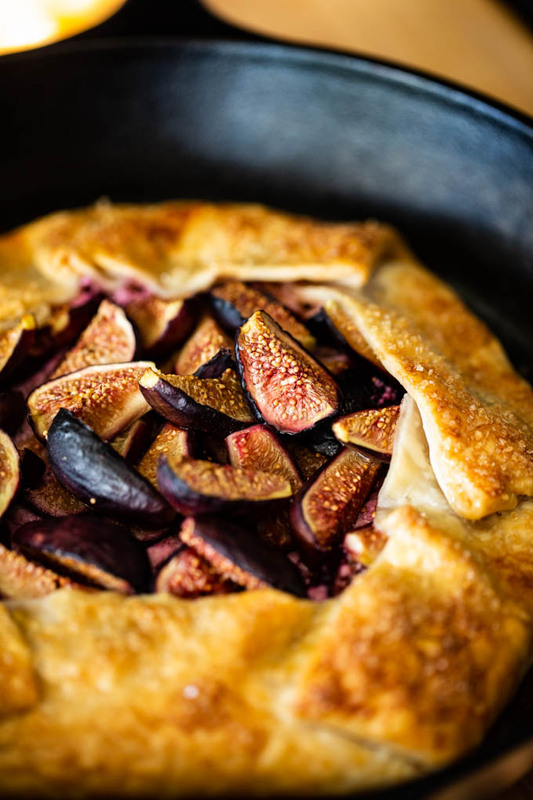 Fig and cheese is one of my favorite combinations, but somehow never thought in combining into a galette…since I made my first apple crostata, I am totally crazy about it…thank you so much for inspiring me…looks awesome! Vicki, have a wonderful week!